Whats more relaxing than a tall cool glass of thirst-quenching drink? Nothing! So I am sharing this utterly easy drink that I am have been sipping on all summer long. Apart from that, I am so happy with how the pictures for this recipe came out. I am trying to work on my food photography a bit these days. To make drink - add ice, 1/2 cup grapefruit juice, 1 tbsp pepper syrup and 1 tbsp lime juice to a shaker and shake vigorously for 2 mins. (add alcohol at this point if you want to make it into a cocktail). 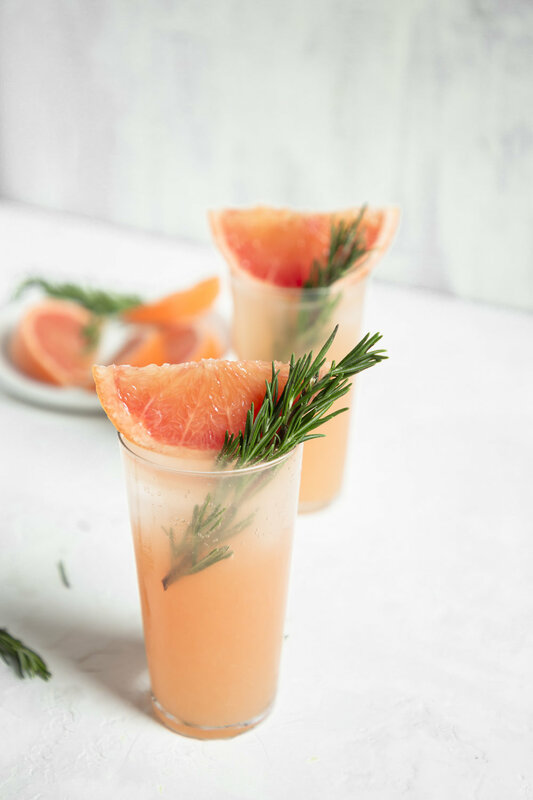 Add to a glass with ice, top off with seltzer and garnish with grapefruit slice and rosemary sprig.